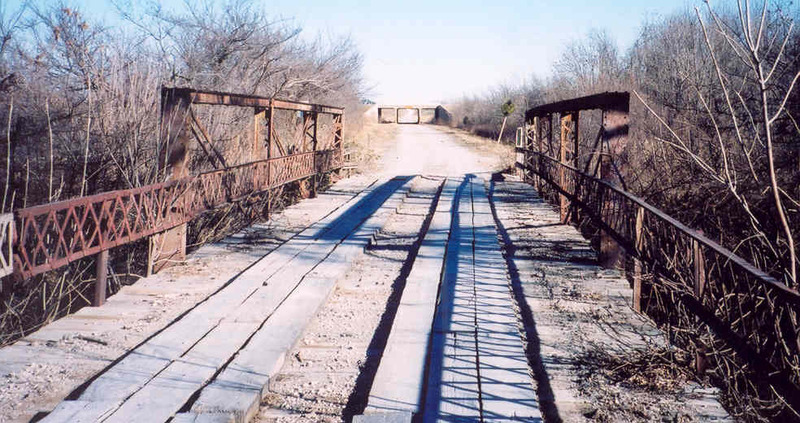 Built in 1918, the Bedstead or Truss leg bridge was a favorite with bridge companies and counties for a long time because of their economy and ease to construct. This example, with a 48-foot main span, is located approximately 2-1/2 miles due west of Ceres. The structure on down the road is I-35. This bedstead is built with approach spans, a preferred method to placing earth directly against the endposts, a practice which often resulted in failure of the bridge. Overall length of the bridge is 102 feet.